What exactly is meant by rental textbooks? Textbooks are rented to students for the length of the semester and must be returned in the same general condition that they were issued by 5pm the Saturday of finals week. This means no writing, highlighting, or damaging the books beyond what would be considered normal wear and tear. In the event that the textbooks are not returned by the due date or they are damaged to the extent that they cannot be reissued the student will be charged the full replacement cost of the book(s) as per the Textbook Rental Policy The student is responsible for the proper handling and care of the books that are rented to them. How do I pay to use Textbook Service? Textbook rental fees are included as part of standard student fees and tuition. There is no additional fee or charge for renting textbooks from Textbook Service unless you damage a book or fail to return your books by the return deadline. You do not need to bring money to get your books. Some classes may require students to purchase supplemental materials such as lab manuals or workbooks, which are not part of the rental program. Those materials will be available for purchase at the Cougar Store. How can I get my books if I am an off campus student? Off campus students have the option of having their textbooks mailed to them or they can pick them up at Textbook Service prior to the start of classes. If a student chooses to have their textbooks mailed to them they will need to submit the Off Campus Textbook Form. Upon submission of the form Textbook Service staff will print out the students book list, package the books and ship them via UPS ground. The students account will be charged for shipping at a rate of $10.00 for the first book and $2.00 for each additional book shipped. Off campus book orders are generally shipped out within one business day from submission of the form. In most cases orders are delivered within four business days from the time Textbook Service receives the form, however we ask that you allow up to two weeks for delivery. Off campus students are responsible for returning their books the same as all other students by the return deadline which is always by 5pm on the Saturday of finals week. Books mailed back to Textbook Service are done so at the student’s expense and must be postmarked by the Saturday of finals week. When a student initially rents a textbook, the student has two weeks from the date of rental to inspect their book(s) for damage and bring the damage to the attention of Textbook Service. We will then either reissue a different book or make note of the damage to the book so that the student is not responsible. After two weeks the student is responsible for the condition of the book(s) that has been rented to them. When a student returns their textbooks, staff will assess the general condition of the book for damage. If damage is found the staff will notify the student that the book is being returned in unacceptable condition and that we will not be able to accept the book back. Staff will then tell the student that they will be charged for the full replacement cost of the book. The most common reasons for books being deemed as un-returnable damage is: water damage, ‘dog eaten’ books, writing, highlighting, and torn pages. What if I cannot return my books by the deadline? The deadline to return textbooks is by 5pm on the Saturday of finals week. Textbook Service will have extended hours prior to the turn in deadline, the hours will be posted on the Textbook Service website as well as sent out via email to the SIUE announce list and posted on our social media platforms. Students are encouraged to return their books at their earliest convenience prior to the deadline. Students can return textbooks at any time throughout the semester and do not need to wait until the end of the semester to return their books. Students can return the books themselves or have a trusted friend or family member return their books for them in the event they are unable to do so themselves, textbooks can also be mailed back to Textbook Service for return. Mailed in textbooks must be postmarked by the return deadline date. If a student fails to return their books by the deadline the student will be charged the full replacement cost of the book(s) as per the Textbook Rental Policy. Students that have not turned in their books by the deadline have an opportunity to fill out an appeals form and have their case reviewed on an individual basis. An appeal must be filed within two weeks of the return deadline, after which time no more appeals will be accepted. Do I need to return my textbook if I’m taking the class again next semester? Yes! All textbooks must be returned by the deadline each semester regardless of whether they need to be used again the next semester or not. What qualifies students to use the service? If the student is paying the General Student Fees they are eligible to use Textbook Service. This applies to both Undergraduate and Graduate students. How does faculty adopt a book for a class? Textbook Service book adoption forms are generated by academic departments and are signed by the Chair of the department. Department secretaries provide the direct coordination of new book adoptions. How to get Textbook Service Assistance? Contact Textbook Service at 650-3020. We can help determine the availability of texts and supplemental materials, provide contact information for the representative of the major college textbook suppliers, and find out when new texts will be available. How can I get desk copies? Desk copies are arranged by the department secretary. In some instances Textbook Service provides assistance to the department secretary by loaning texts to the department in unusual circumstances. Does Textbook Service issue supplemental materials? Most traditional college texts now have supplemental CD'S, DVD’s, digital access codes and other materials. At the discretion of the department, we can issue these materials along with the text. Can more than one text be used for a class? Yes. Adoptions for additional texts for classes require the signature of the Dean. 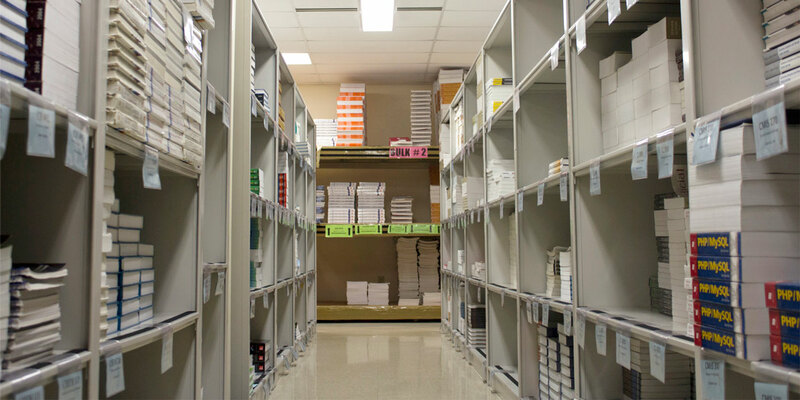 About forty percent of the classes offered at SIUe have more than one textbook issued by Textbook Service. When does faculty need to provide a justification memo? By policy, early adoptions (getting a new text earlier than the three year adoption period) requires the approval of the Assistant Director of Textbook Service and the Cougar Store, who in turn requires a justification memo explaining the benefit of the early replacement of a text. Does the system save students money? Studies have consistently concluded that having a textbook rental system saves each student several hundred dollars each semester when compared to purchasing and then selling back textbooks. How long has the textbook rental service been in place at SIUE? Textbook Service began with the inception of the University in 1965. At that time, the Carbondale campus had a textbook rental program so the service was also created at the Edwardsville campus. Eastern Illinois University also has had a textbook rental system in place for many years.